Mary Michael loves special occasion hair and makeup applications. 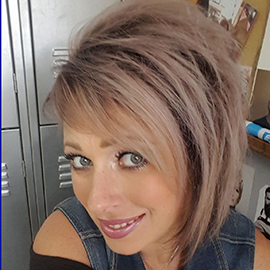 Mary Michael’s upbeat personality and passion as a hair stylist will leave you feeling good inside and out. Come enjoy a day of laughter and invigoration with her. Copyright © 2019 Barclay's Hair Design. All rights reserved. Salon Web Design by StyleNet.